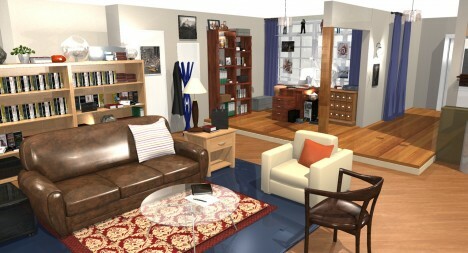 Be the show drama or comedy, the scenes set by designers for television programs tend to become as familiar as the characters being acted and the stories they tell – with these interactive models from HomeByMe, you can take a step back and see some famous and classic sets from a new perspective. 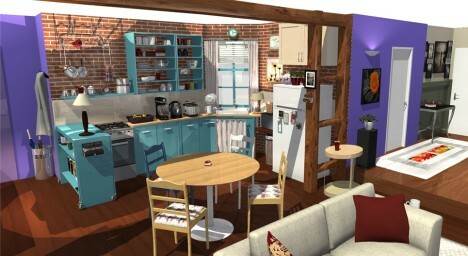 As a bonus: you can also click to download any view as a static image, too, or check out some of other TV home plans hand-drawn in 2D – meanwhile, start by clicking on the images below to spin them around. First on the list: Dexter‘s sleek Miami loft full of whites, blacks and grays but largely devoid of color – a perfect home for a calculated killer trying to fit in yet finding it hard to show (or even have) emotion. You can even see his closet where he keeps, well, never you mind. On a lighter note, this apartment was home to half the cast of Friends, Rachel and Monica mostly but with some rotation as well (no pun intended). 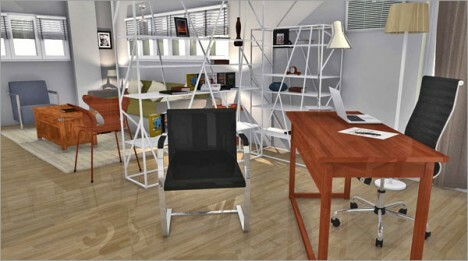 Spin the model to see their bedrooms, bathroom, living room, kitchen and deck from different angles. On the set of How I Met Your Mother has some added elements of seasonal decor, including a Christmas tree as well as some figures of the cast sprinkled in for scale and perspective. 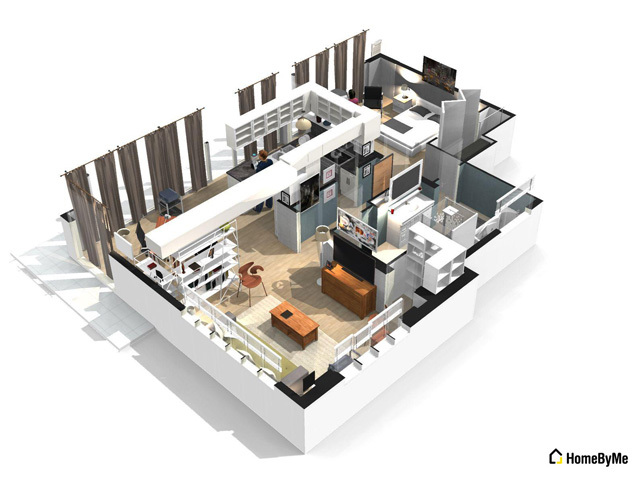 The Big Bang Theory features a surprisingly odd-shaped dwelling when seen from a distance – perhaps not as obvious in the show itself, the floor plan is full of strange intersections, extraneous spaces and odd angles, not too unlike the minds of its inhabitants.